The next meeting of IPMS Toronto / AMPS Fort York will be held on Monday, August 11th 2014. The AMPS meeting starts at 6:00pm and the IPMS meeting starts after 7:00pm. This will be a regular build night so bring out your mid summer builds. Big thank yous for the three demos that we were privileged to watch at the July meeting! IPMS Canada 50th Anniversary Decal Sheet! 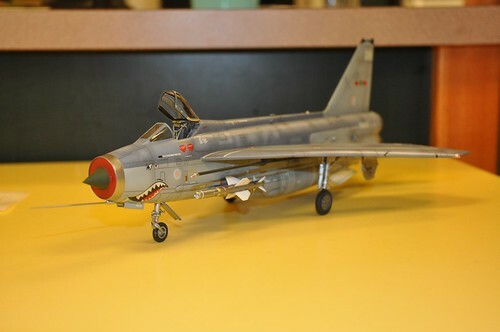 As you are no doubt aware, 2014 is the 50th year of IPMS Canada. To celebrate, they will be sending all of their members a special free decal sheet in an upcoming issue of their publication, RT. This large (ca. 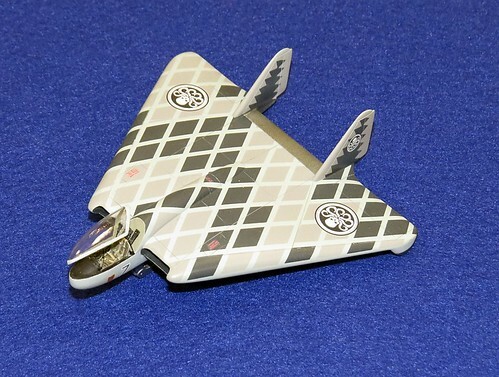 8″ x 12″) sheet contains Canadian content aircraft markings in 1/48 and 1/72; and vehicle markings in 1/35 and 1/48. The aircraft include a WW I “Victory Bond” drive Curtiss JN-4; a Hurricane flown by John Kent (aka Johnny Kentowski); a Spitfire XVI in some interesting late-war markings as flown by Stan Turner; a DH Vampire of 402 (City of Winnipeg) Squadron; and a Sabre from 441 Squadron with special ‘rat’ markings! The vehicle decals include a Centurion, two Shermans, and a colourful Jeep! 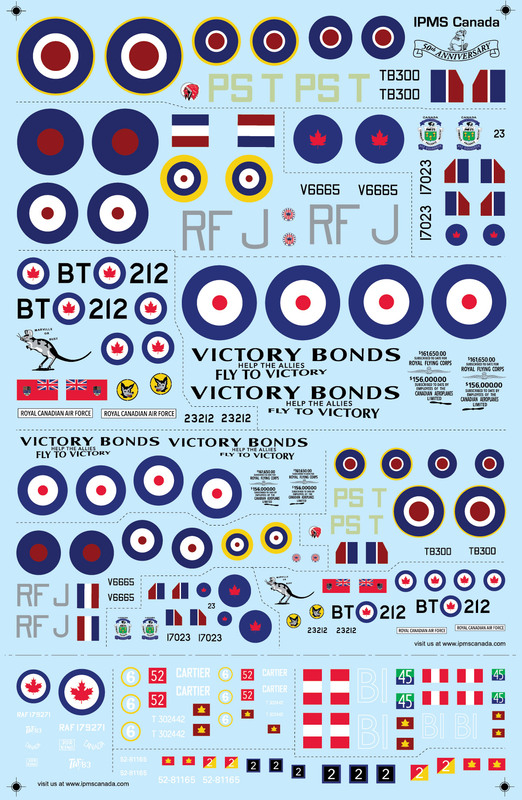 All IPMS Canada members current at the time of mailing will receive these decals. 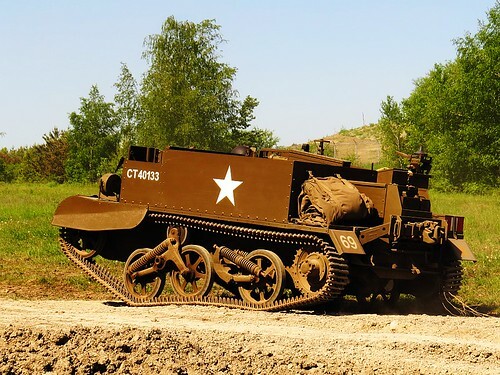 These images relate to World War II era uniforms and vehicles/equipment. On The Tables July 2014, a set on Flickr. Some images of models taken at Buffcon in April 2014.